Go on admit it. You did, didn’t you? Yes really you did. I know you did. What? Missed me, of course. That’s nice. Its nice to know someone spotted I wasn’t around. Cared what I have to say. 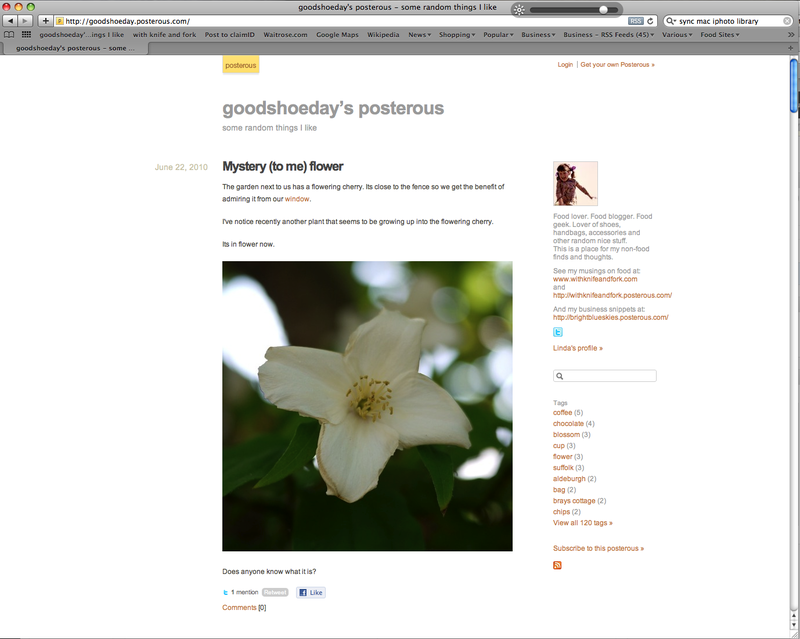 Missed my amazing blog posts. Oh you didn’t. Right. Surely you did. Well I missed you at any rate. Is that enough or do I have to apologise as well. Okay I know I was absent without leave so to speak. But you know sometimes these things happen. What, you don’t just want an apology you want to know what I was up to as well. What every last minute of the 36 days I was gone for? You sure you won’t get bored, after all it might not be that exciting might it. Or you might find out something you don’t want to know or…..
Well okay here you go…. Blogging is a curious thing and I’m sure we all have ideas when we set out blogging about how often we want to blog and the kinds of things we want to talk about and then some kind of reality hits us. 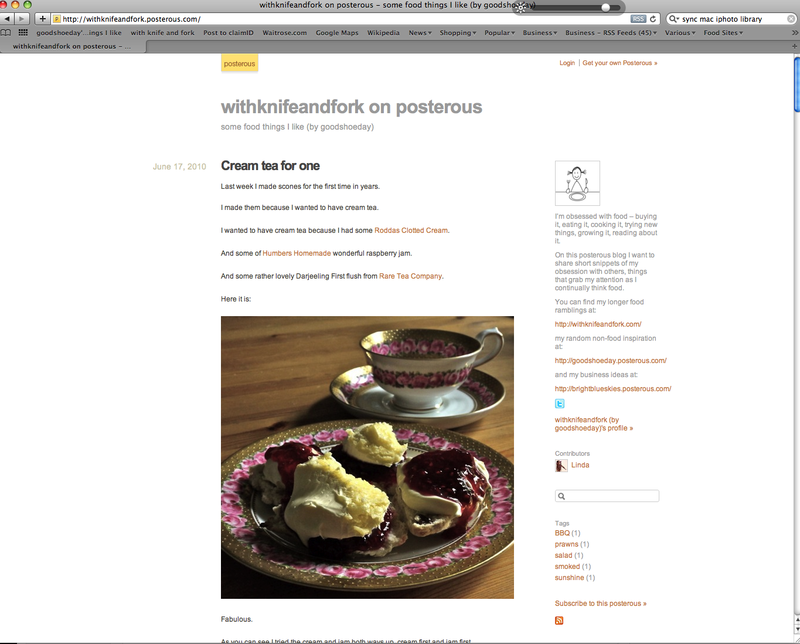 Blogging is quite time consuming. To write a reasonable post of any length takes time and a certain amount of care. That’s not say its not fun but sometimes the ideas dry up or more often there are so many ideas and not enough hours in the day to write about them all. So those well laid intentions go a bit skew wiff and sometimes the blogging just has to take a back seat to the rest of the stuff. So for 36 days the blogging took a back seat – well probably worse than a back seat, more a didn’t really get a spot in the car and stayed at home sulking seat but anyway. It was definitely a case of too many ideas and not enough time. I already had a huge backlog of things I wanted to talk about and then a whole bunch of deadlines kind of came rushing up close together. I took 20 trips to the supermarket, 4 ocado deliveries and 2 trips to the farm shop. Yes really. I’ve embraced the idea of regular day-to-day food shopping I’ve just failed so far to translate it properly into local, artisanal, whatever, whatever. 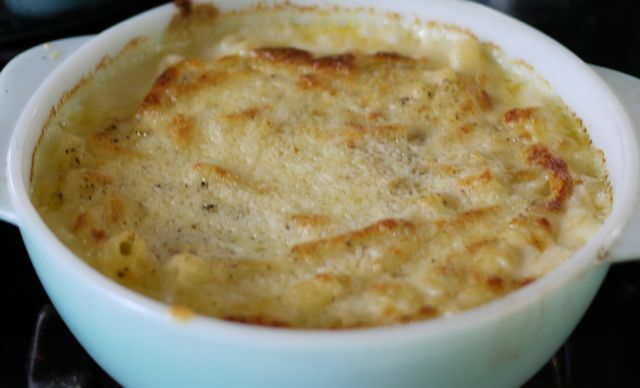 I ate three meals every day, many based around cheese and pickles; twenty of them in cafes or restaurants. None of them at my desk. I went on a photography workshop at Scandinavian Kitchen with a whole load of other food bloggers and tried to concentrate on learning about good composition. This was not that easy with Food Urchin chomping on hotdogs in the background. I went to a wonderful gin cocktail evening at the Dorchester with the very lovely Sipsmith’s maker of fabulous gin. I compared notes about making flavoured vodkas at home with cocktail and spirits maestro Jared Brown. I now have a whole new batch of gins and vodkas to get on the go and a dangerous desire for a still. I did two sets of financial statements for clients. And three VAT returns. It’s a good job they are truly lovely clients. I don’t do that just for anyone. I went and had my hair cropped sort of a la Winona Ryder. It must have worked I’ve been asked for my autograph several times in the street. I celebrated 3 birthdays with people, one of them my own. I blagged and blagged for goody bags. I ferried the entire contents of Sainsbury’s dairy dept from Scandilicious flat to Hawksmoor. I stuffed goody bags. I went on the hunt for missing ingredients. I served food. I worked on the pass. I dried dishes. I handed out goody bags. I made donor lists. 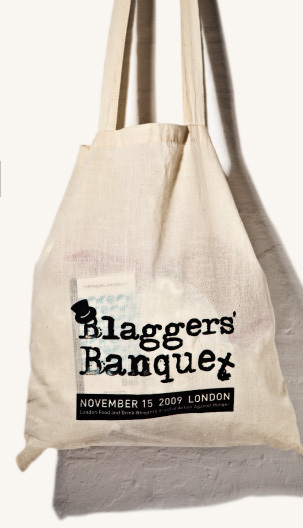 YES I was part of the wonderful Blaggers Banquet. I spent 3 days in the Marriot Northampton with 15 lawyers. I tried to get them to understand what blogging was. And Facebook. And LinkedIn. And Flickr. And Twitter. And why it was important to have worked out how they would or wouldn’t use it and why. I think they understood. I allowed myself 2 weekends of R+R in the lovely Suffolk countryside. I ate. I picked sloes and rosehips. I ate some more. I brought back bootfuls (that’s car bootfuls not any other kind of boot) of some of my favourite Suffolk foods. Pinneys. Purely Pesto. Lane Farm/Suffolk Salami. Maple Farm eggs. Peakhill farm veg. And on. And on. (Please see the side bar for links to some of these). I went to a wonderful cooking with tea workshop run by Teanamu. And amongst all that work levels started to pick up with more new jobs coming in, more marketing opportunities and more interest. Lots of really exciting possibilities. Starting up a business a few months before the recession has been an interesting ride but being your own boss is wonderful. Even if it means blogging has to stop now and then you still have the freedom to juggle how each day looks and that is priceless. I’ll be blogging some of the things I got up to separately (I hope), especially the 20 trips to the supermarket, and also plenty of other things. The blogging isn’t going to stop this was just a temporary hiatus. Last night I attended an event affectionately known on Twitter as #BPRSummit. Sounds really high powered and like it could be about trying to fix a major world issue such as climate change or war or something? Whilst it wasn’t quite as serious as all that it was about trying to get the food blogging community and food PR’s to have a discussion about how they might or might not work together going forward instead of randomly (and often justifiably) slinging mud as has happened a fair bit of late. The event was conceived and organised by Sarah of Spoon PR and Tim Hayward of The Guardian’s Word of Mouth blog and Tim did a call to arms last week outlining some of the problems that have arisen: food bloggers being referred to as food blaggers, talk of a ‘code of ethics’ raising hackles and some food PRs running woeful campaigns and alienating bloggers. So it was that a group of bloggers and PRs met at the Rubens Hotel near Victoria to thrash things out. A few of us bloggers met first at a nearby pub and spent half an hour mulling over what the evening would hold, would it be a useful and helpful discussion or would it turn into an almighty spat. At 6.30pm (BST) we duly wandered over to the hotel to find out. Here we were directed to one of the conference rooms where we were greeted by Sarah and badged up (red for bloggers, blue for PRs). In the spirit of all good summits we had a panel of expert speakers to kick things off and then we would move to an open Q&A. Tim (as quizmaster/chair) got the ball rolling with a brief round of introductions and thanks. Then the serious work began. First up we heard from Kelly, Jacob & Adam of Luchford APM who act for the likes of Daylesford Organics (although Luchford don’t only work with food companies). They explained a little bit about how they work and suggested that for PRs to work well with bloggers there is going to need to be trust on both sides. They seemed keen to understand what bloggers do or don’t want from PRs, food companies and restaurants and also how they approach blogging. 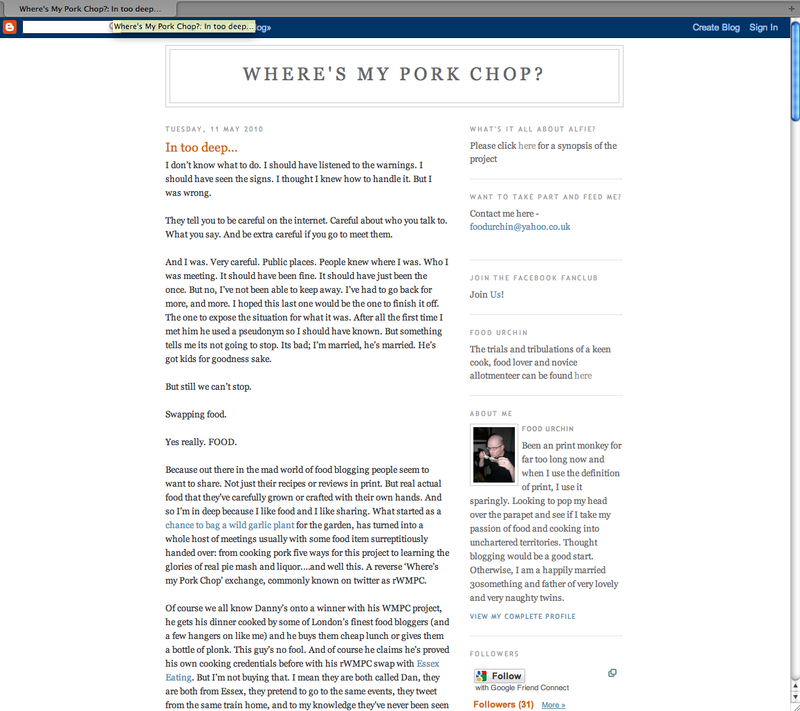 bad = an approach to review bacon when his blog is strictly about kosher food – oh dear! good = Starbucks PR convincing him to try their new instant coffee despite him regularly being openly dismissive of Starbucks. The difference being all about how the PR approached him and the fact they either clearly had or hadn’t done their background research on what his blog is about. A straightforward lesson maybe, but one that the subsequent comments from bloggers on the floor demonstrated still needs to be learnt by many PRs. Next it was on to Sarah of Spoon PR, a much smaller operation than Luchford, a different approach and an equally impressive client list (e.g. Petersham Nurseries). Sarah explained that she only works with food companies because that’s what she’s passionate about. Its obvious she’s already very tech savvy but she was also very clear that she wants to learn how bloggers work and how they want to work with PRs. 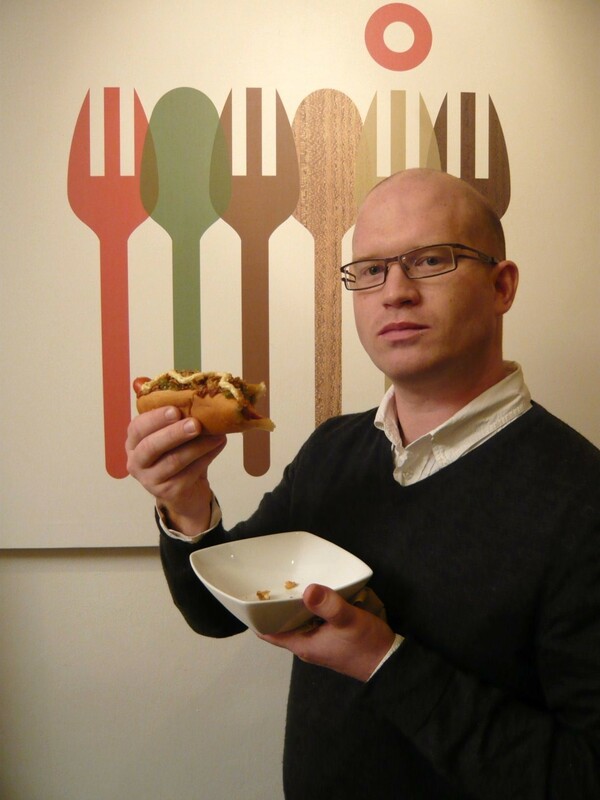 And finally on the panel another food blogger, Oliver Thring from Thring for your Supper. He echoed much of what Anthony had said and emphasised the fact that bloggers want to be taken seriously by PRs i.e. not treated as some amorphous mass of cheap resource to be ‘spam’ mailed but instead individual relationships should be forged. And then to the floor. Rather than questions it was more a case of people throwing in their thoughts on the overall relationship that needed to be built or adding their comments on how the world looked from where they stood either as blogger or PR. I’d say the PR’s got a bit more of the airtime that the bloogers…but I think we all learnt a fair bit, bloggers and PRs alike. Overall the event was a good way to start bloggers and PR’s engaging with each other but there’s much debate still to be had. The issue of ethics and a blogging code didn’t really get aired and there were few traditional journalists there to put forward their views or concerns. 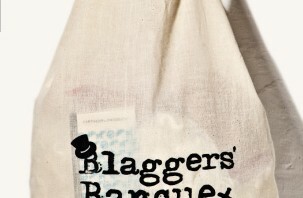 And then, as if set as a test, the bloggers were told there were goodie bags to take home….now then who didn’t blag one eh? ?